Nestling among lush gardens with a forest backdrop, Green Nature Resort's location takes some beating. 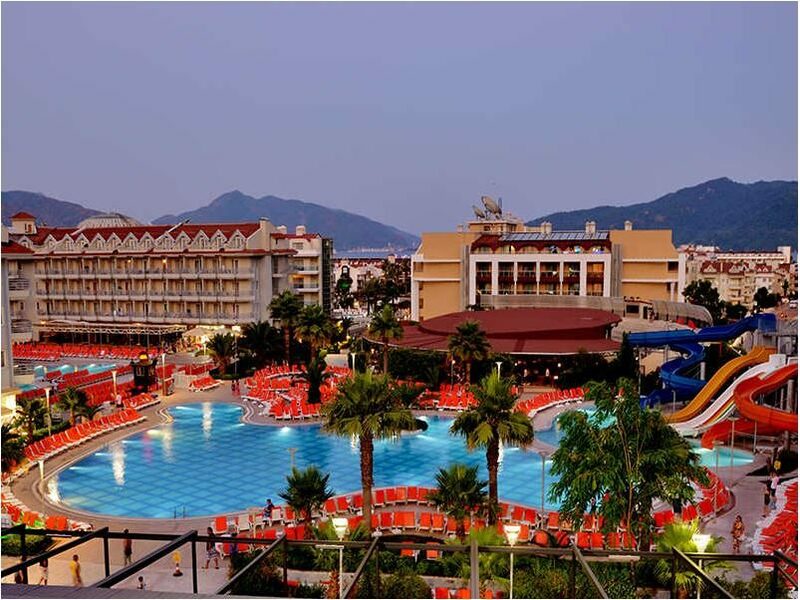 This Marmaris hotel resort is jam-packed with facilities for all the family, equally matched by tasty dining and beautifully furnished guest rooms. Daytimes here are about doing as much or as little as you wish. Relax in the sunshine by the duo of pools or enjoy top-to-toe pampering in the spa. Hop on the shuttle to the beach or stay put and whizz down the thrilling water slides. Up the tempo with a workout in the gym or wind down in the Turkish bath. Fun times are on the agenda for the children with an activity club. Step indoors and make use of the Wi-Fi connection in the lobby. The guest rooms are kitted out with all the modern touches that add to your comfort - from air-conditioning and a satellite TV, to a minibar and a balcony with pool or forest views. Dine on Turkish and international fare in the main eatery or savour gourmet cuisine served to your table in the a la carte restaurant. Enjoy snacks from the pool bar and a menu of drinks from the quartet of bars. At night, family-friendly fun takes to the stage in the amphitheatre. See why Green Nature Resort is a popular place to stay for Turkey holidays. Green Nature Resort has all the facilities you expect from holidays to Turkey. 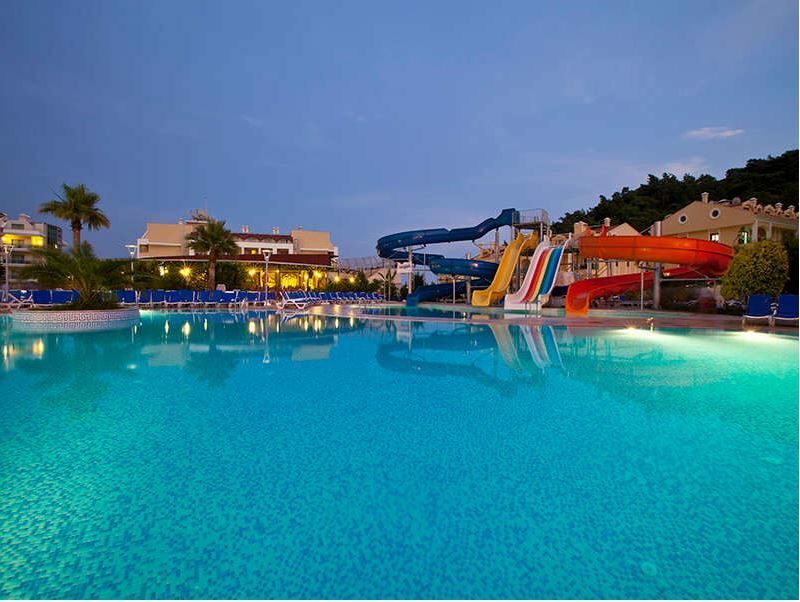 Highlights include: three swimming pools, sun terraces, sunbeds, parasols, four water slides, two children's pools, two restaurants, snack bar, four bars, and amphitheatre. There's also: beach shuttle, children's club, fitness centre with indoor pool, laundry facilities, Wi-Fi connection in lobby, jewellery shop, and mini-market. The 24-hour reception offers luggage storage, doctor on request, babysitting service, and pool towels. 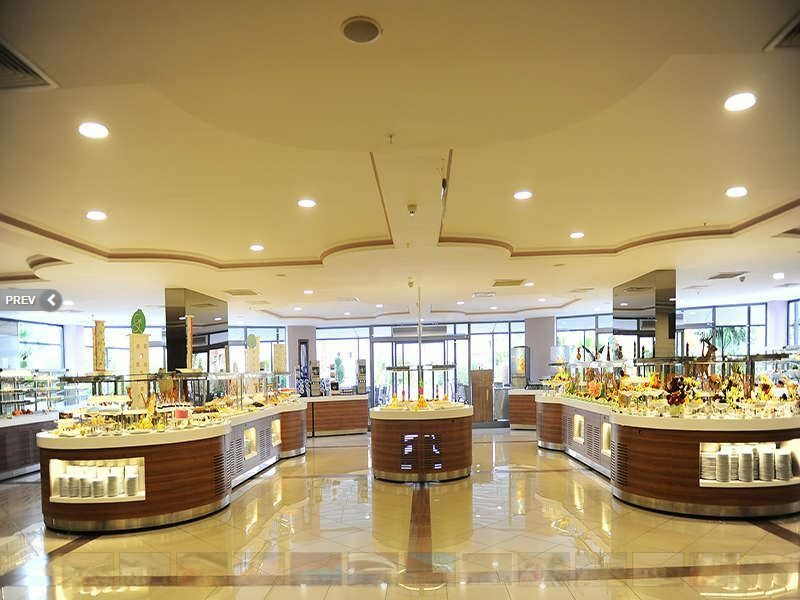 The Green Spa features: face and body treatments, Turkish bath with foam massages, and sauna. The animation programme includes: volleyball, darts, aerobics, step and water gymnastics, table tennis, tennis, basketball, football, billiards, and computer games. Water sports and PADI diving courses are on offer at the beach. 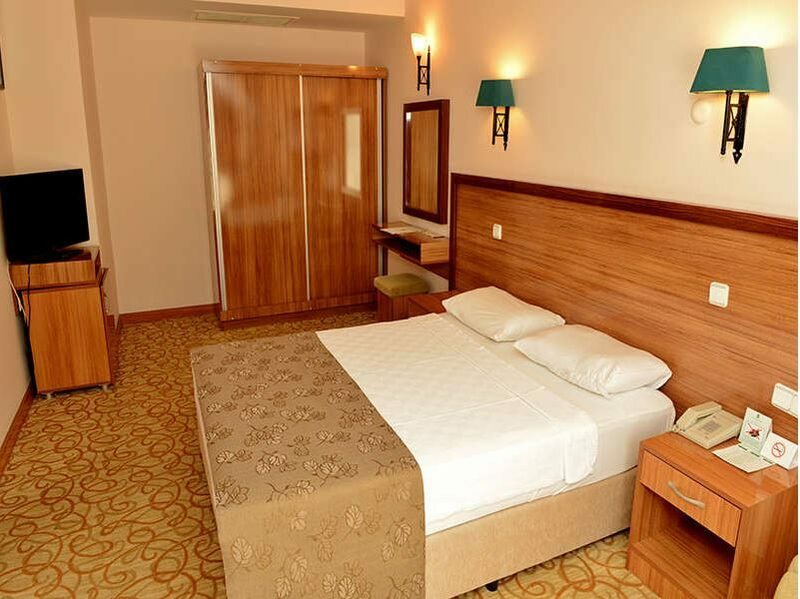 This Marmaris hotel has 630 modern guest rooms, consisting of Club Standard, Resort Standard, Club Family, and Resort Family Rooms. Highlights include: bathroom with shower, minibar, air-conditioning, telephone, safe, hairdryer, satellite TV, and balcony with pool or forest view. Turkish and international cuisines are served buffet-style in the main Green Restaurant for breakfast, lunch and dinner. Light bites and fast food options are available at the Snack-Line restaurant. Gourmet fare is on the menu in the a la carte restaurant. 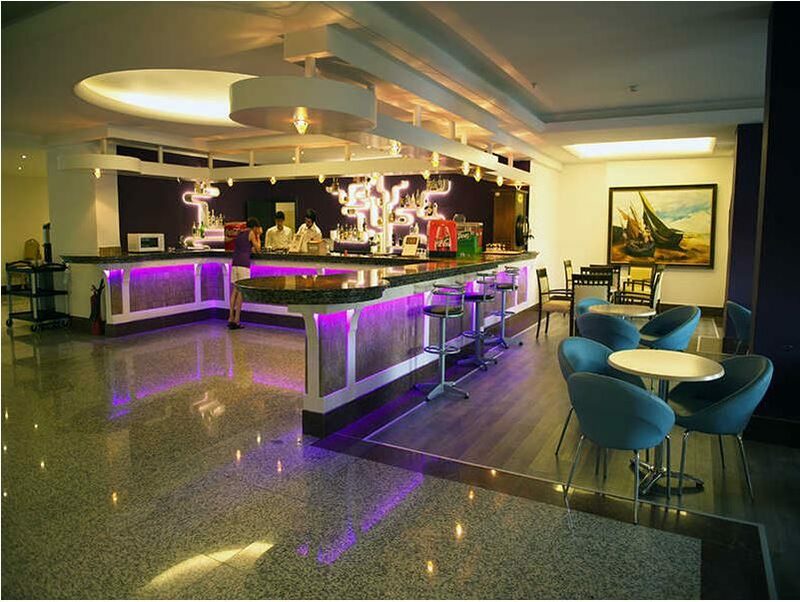 A full selection of hot and cold drinks are served at Lobby Bar, Garden Bar, Amphi Bar, and Terrace Bar. The amphitheatre hosts the evening entertainment of fun, games, live music, and shows. 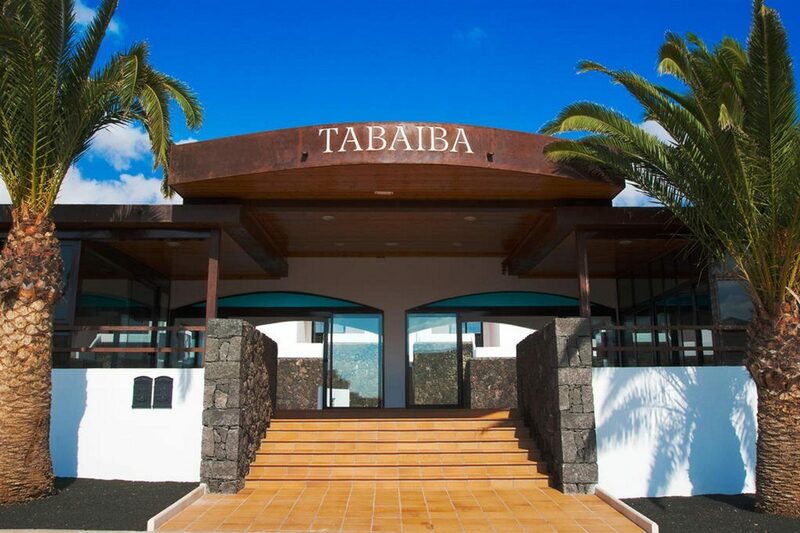 We swapped to this hotel and destination from Tunisia just two weeks before departure. For an extra 100 euros, we got a much better hotel! The hotel's only a year old, so it's really modern and stylish. The service was good, but it was quite busy at reception at times which caused a few problems. The hotel's in a lovely place and it was very hot, which was ideal! I would definitely go again in a few years. Room basic but enough as didn't spend much time in it.hotel brill,all staff helpful and courtesy.food choice unbelievable,we all piled weight on. The hotel is clean and well run but its very stop start stop start. The food is nice but repetitive and the reception do not speak a word of English. That needs to be sorted. Very clean, food excellent and all staff very polite and accommodating would definitely go again . the only problem I had was with the transfer from airport to the hotel, the driver of the coach was on his phone whilst driving, and then ended up crashing the coach. As a result of this I have been in pain on the second day of my holiday and could not do the water polo ect. And it did effect my time with my son in the pool. As a result of this i will not be booking with hays travel and jet2 again. Great family holiday, lovely food, loads to choose from, We would live here if we could. Our next holiday will be at this hotel.